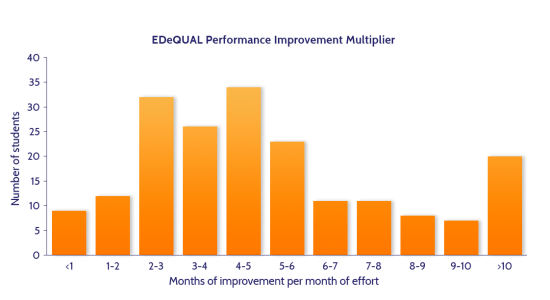 When EDeQUAL’s method is implemented effectively, students show an average improvement of one month in Math competency in 300 minutes of usage. If students spend 5 hours per week using EDeQUAL’s instructional materials and method, they can master one year’s worth of instructional material in 3 months. This makes EDeQUAL’s blended learning method four times more effective than normal classroom methods. 50 students in grade 6 took EDeQUAL’s online diagnostic assessment for grade 3 Math. 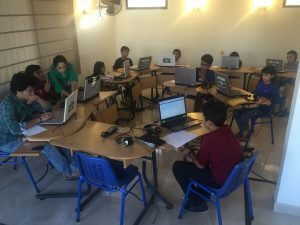 Their average score was 24%, and 4 out of 5 students scored below 40%. The school placed all grade 6 students in EDeQUAL’s Math programme, focusing first on remediation to improve their performance at grade 3 level. 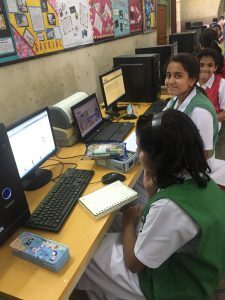 The program was implemented in the school’s computer lab, where 72 students in 3 sections spent 35 minutes per day for five days each week using EDeQUAL’s online materials and method, supported by their school teacher. 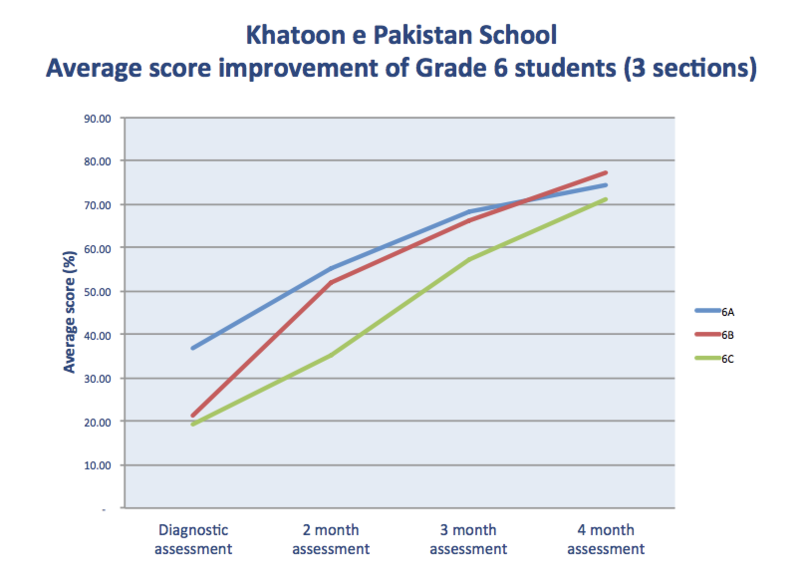 Two mid-line assessments and one end-line assessment was conducted over a 4 month implementation period.